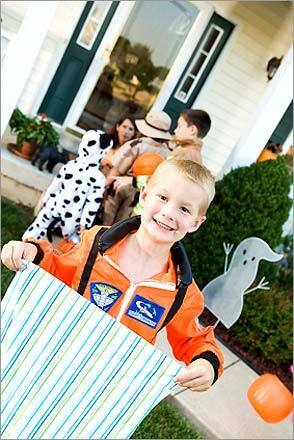 Treat bags can made from old pillowcases, fabric or gallon-size ice cream buckets. Decorate them with reflective tape, fabric paint, glitter, or felt cutout shapes. These can be reused and redecorated for years to come.